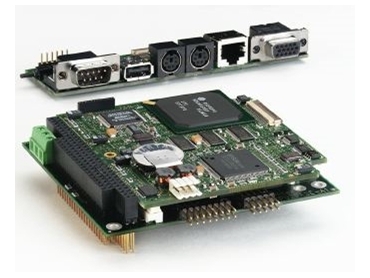 HITEX Automation has released a Windows CE starter kit that includes target hardware in the form of a high-performance low-power embedded PC, the HiCO.SH4 PC/104 board, based on the Hitachi SuperH SH4 processor. The kit has been designed to provide easy startup for those wishing to develop applications for the Microsoft Windows CE 3.0 operating system. Windows CE 3.0 is continuing to steadily gain ground in the world of embedded systems and with its improved scheduler and enhanced interrupt handling, the improved response times enable the OS to be deployed in complex industrial applications such as compact controllers for field-bus systems. The starter kit for Windows CE 3.0 equips the developer with everything required to create an application based on the powerful embedded PC, HiCO.SH4. Adaptation of the operating system's kernel to the target hardware has already been carried out, allowing the user to immediately commence with application development. The required Microsoft development environment is integrated into the kit and it includes eMbedded Visual Tools 3.0, demo programs and C source files. The HiCO.SH4 board is well suited to industrial applications and is known for its low power consumption and high level of performance. The system comes complete with an 8MB flash disk, 16MB RAM and a display controller for resolutions of 1/4-VGA-LCD up to XGA. Onboard interfaces include ethernet (10BaseT), PS/2 keyboard and mouse, VGA (LCD + CRT), USB and RS232. The fully detailed user handbook describes the straightforward installation process, including useful information on debugging. Macro Dynamics 03 9720 2399.